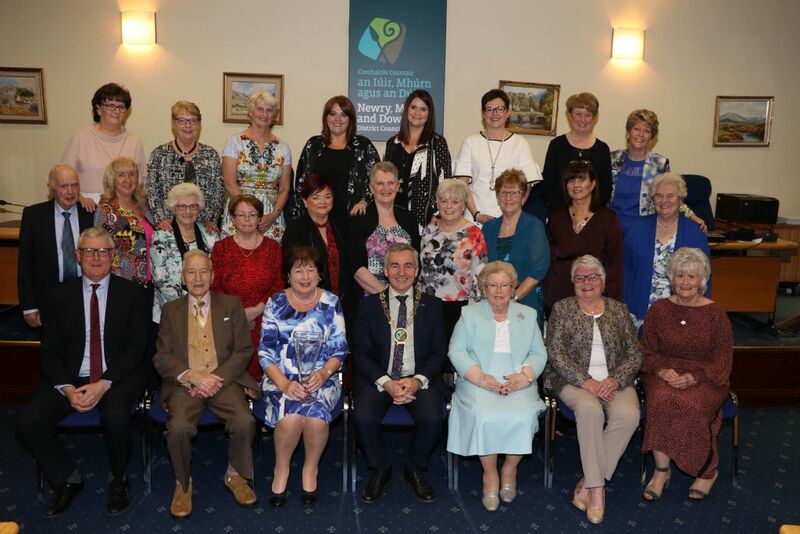 Newry, Mourne and Down District Council Chairman, Councillor Mark Murnin hosted a Civic Reception for Warrenpoint Feis Committee on Thursday 11 April to celebrate the tremendous contribution the Feis has made to the district over the past 40 years. The first five-day festival of music, speech and drama and Irish dancing was established in November 1978 by its current President, Raymond Turley. With the help of committee members, some who have been there from the beginning and others joining along the way, the Feis has gone from strength to strength and now runs over a four-week period. Speaking at the reception Newry, Mourne and Down District Council Chairman, Councillor Mark Murnin said, “I would like to thank Raymond for his dedication to the Feis over the last 40 years. What he and his committee has achieved bringing it from a five day to a four-week festival, is an incredible accomplishment.